The statistic shows the top selling albums of all time in the United States, based on certified unit sales. Michael Jackson's 1982 album, 'Thriller', ranked second with 33 million certified unit sales in the United States as of 2018, losing out to 'Eagles: Their Greatest Hits (1971-1975)' with 39 million certified unit sales. 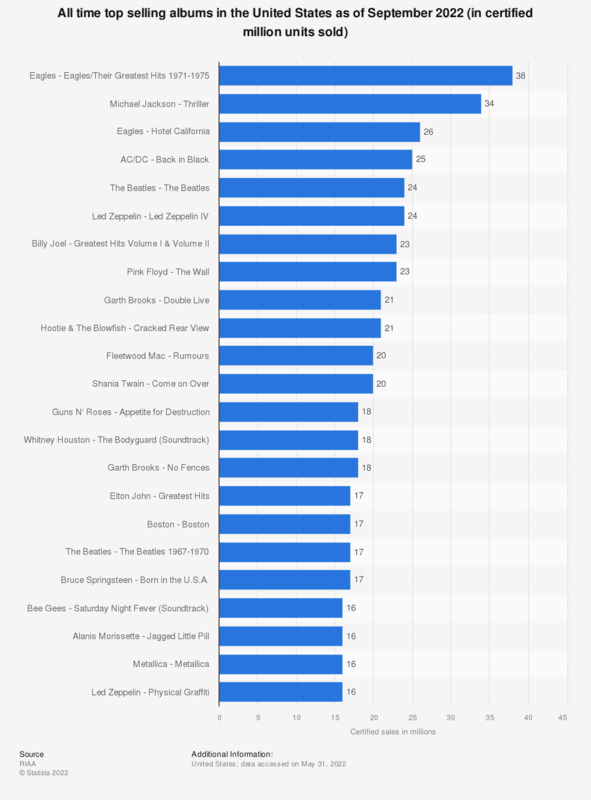 Eagles also ranked third with 'Hotel California', which had 26 million unit sales as of 2018. How satisfied are you with the online music available?